Salomon walking Trainers in Brown Suede size 9 uk eu 43 1/3rd great condition still masses in them see pictures. VINTAGE NIKE ACG WALKING BOOTS - SIZE UK 6 - WORN, VERY RARE PIECE. Condition is Used But Plenty Of Life Left. Dispatched with Royal Mail 2nd Class Signed For. 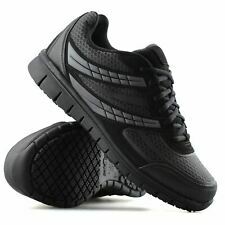 The insides of the trainers are excellent, no wear at all. 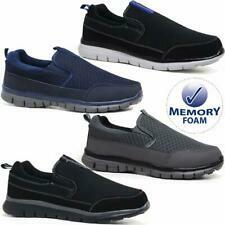 MENS SKECHERS LEATHER COMFORT FIT MEMORY FOAM WALKING SHOES SIZE 10. Dispatched with Royal Mail Signed For® 2nd Class. Gore-tex, Waterproof and GSR traction soles. Good condition with gentle signs of used in general and few worn in the lining. "Botta Bungee Cord". Khaki Green Leather?. Hiking Trainers. Size UK 9.5. Black grey. Soles as good as new, worn once by model on photoshoot. Vibram Soles. 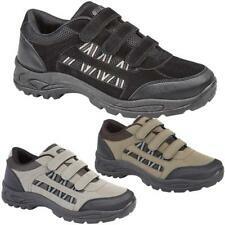 Hiking Walking Trainers. The North Face. Light Beige, brown & Orange. 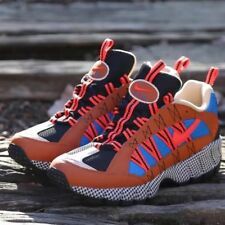 Salomon Hiking Trainers Gortex Size 9 Excellent Condition. Condition is Used. Dispatched with Royal Mail 2nd Class Signed. "Ortholite". 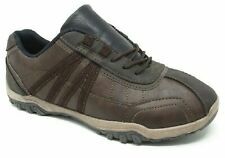 Brown Suede Leather Fashion Trainers. 100% GENUINE. feature a low cut ankle collar with a padded finish for superior comfort. > Low cut padded ankle. Vibram Sole Unit designed to provide the best performance with the maximum. RRP £99.99. New Balance MA365BL Navy Trainers Size 43 UK9. Grey soles.Condition is New with box. Dispatched with Royal Mail 1st Class. With memory foam insoles These are new and unworn apart from being tried on and realising that they didn't fit. Condition is USED - check pictures! Composition 70% Calfskin, 15% Polyurethane, 10% Polyamide, 3% Polyester, 2% Viscose. Only 1 available! Made In Italy. Embroidered detailing. Notso small print. So look cool AND keep your tootsie's warm at your next essential muddy festival. I have a very limited select few one off pairs of rare“Salesman Samples” such as these. Most of these Converse shoes did not make it into standard sale issue, or were limited issue, so there's every chance you're buying a collectors pair. NIKE LUNAR FORCE 1 DUCKBOOT '17 Mens Boot 916682-002 Black .BNIB Size UK 8 EU 42.5 US 9 100% authentic brought from the Nike Store. Brand new in box (box lid missing ). Any question feel free to ask . > Mud Guard. > Protective heel cap. > Sensifit System. > Gusseted tongue. Nike Woodside 2 Mens Trainers / Boots. Size 7 UK. New. 525393 090. Hiking.